A self-hosted, single-user, ActivityPub powered microblog. I also post notes as @t@a4.io. @fitheach It's because Mastodon won't fetch the existing activities from a remote instance when following someone. Not sure I&apos;m understanding you. Some of your existing likes and replies are from Mastodon users. @fitheach Yep but I think it's the first interaction with mstdn.io. 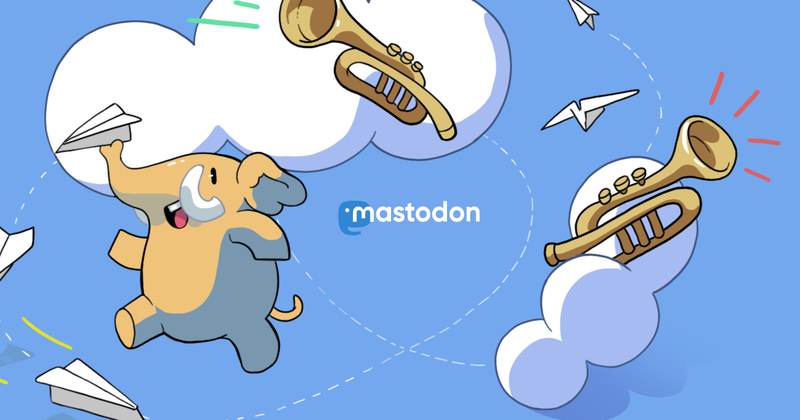 But maybe microblog.pub is missing an endpoint that prevent Mastodon from fetching existing activities (as this mechanism is not part of ActivityPub, this will be "Mastodon" specific). Some of the users interacting are on mastodon.social (something different there maybe). Is Docker a requirement or can you just have it in a virtualenv? I hope I will be able to release a "v1" in September, I think it will stay pretty simple, as explained on the project README (https://github.com/tsileo/microblog.pub). For Docker, it's not a requirement, it's just that the setup is a little complex so it greatly simplifies things. I have to update the documentation on deploying, but as of right now, I would not advise to run an instance as it's still too buggy. Does micro mean 500 characters and 4 images limit? The design/UI is optimized for small notes, and no characters limit. And I will fill an issue, as for now you can only upload 1 attachment :p But same here,no limit (but then I don't know how it will display on Mastodon, like if only the first x images will be displayed). "I don&apos;t know how it will display on Mastodon"
That&apos;s what I was wondering. Might lead to misunderstandings if folk comment on stuff because they are only seeing half the content.